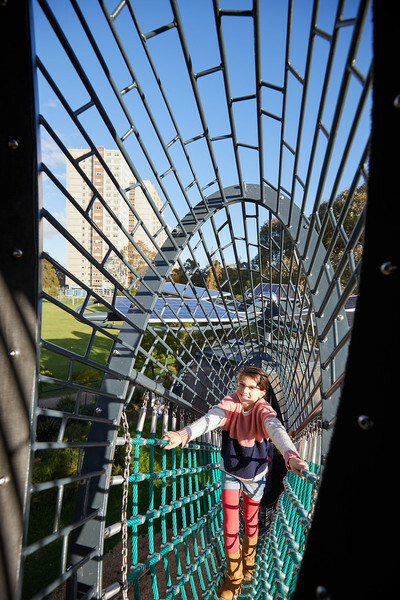 A brand new magnificent structure created by Benjamin Gilbert was unveiled in Melbourne's North today at Cubbies Fitzroy Adventure Playground. 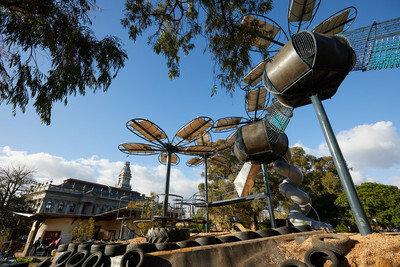 The new playscape installation is called 'Coal Flowers' and houses 25 solar panels, generating and harnessing renewable electricity for the on-site hut building. How cool is that? Fitzroy Adventure Playground is a space to play for the children of inner city Melbourne suburb of Fitzroy, and was the first adventure playground built in Australia, originally built in 1974. 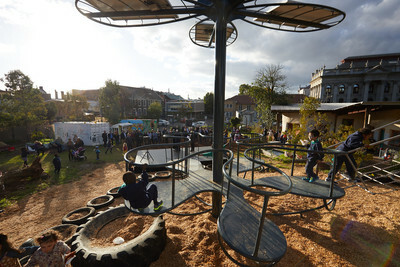 The playground offers child focused play and activity programs under the direction of staff engaged through Save the Children Australia. The new installation features 5 poles on the top of which are pods made of steel and recycled rubber from coal mine conveyor belts. 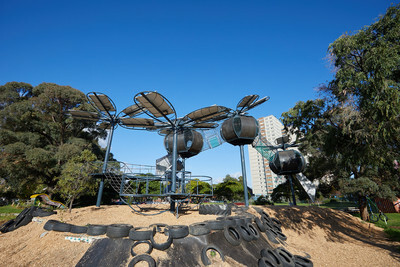 Each of the petals on the top of the play structure house 25 solar panels, which generate the electricity required to power the hut.